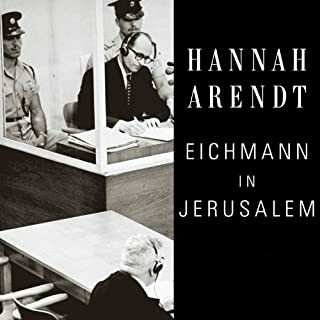 Sparking a flurry of heated debate, Hannah Arendt's authoritative and stunning report on the trial of German Nazi leader Adolf Eichmann first appeared in The New Yorker in 1963. This revised edition includes material that came to light after the trial, as well as Arendt's postscript. A major journalistic triumph by an intellectual of singular influence, Eichmann in Jerusalem is as shocking as it is informative - an unflinching look at one of the most unsettling (and unsettled) issues of the 20th century. I will recommend this difficult and soul wrenching read to anyone that struggles to understand history and humanity. It is a must read.